Size: Select Size 5" by 7"
Cards are 5" x 7"
Hearts on stem, flowers in a variety of colors, stacked flowers and LOVE with a heart as the "o"
Color of card and or design may vary. If you need a specific color please send me a message. 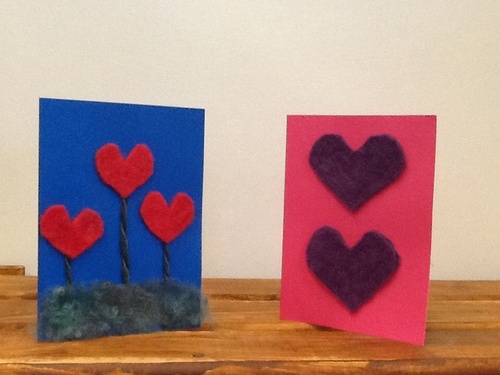 These Valentine cards are each unique and handcrafted by me. 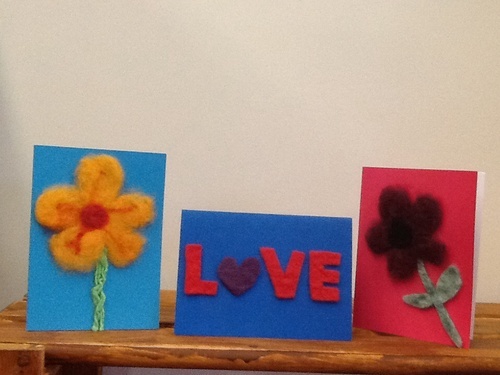 The felted design applied to each card is from our very own alpacas. It has been sheared, carded, dyed and felted by us. They are blank on the inside for your own personal love note!